One of the hardest parts of loving a senior family member is being there for them. For many families, the challenge is exacerbated by living far away. According to the Home Care Association of America, there’s an average distance of 280 miles between adults over the age of 60 and their nearest child. That’s about a 5-hour drive if you’re traveling at 55 MPH the whole way. With so much distance between family members, seniors often experience loneliness. Companion care can ensure that your loved one is cared for lovingly. Feelings of loneliness aren’t just unpleasant for the elderly, they can be dangerous. An NPR examination into loneliness among seniors found that isolation can cause depression. For seniors, depression can increase the risk of death. Loneliness contributes to higher blood pressure, poor sleep, memory loss, and more. On top of experiencing loneliness, seniors who live far from family may also be isolated. In the case of falls, emergencies, and even planned surgeries, seniors need help that may be inaccessible if they are alone. They may also be in danger if they have an accident but no one regularly stops by to check on them. 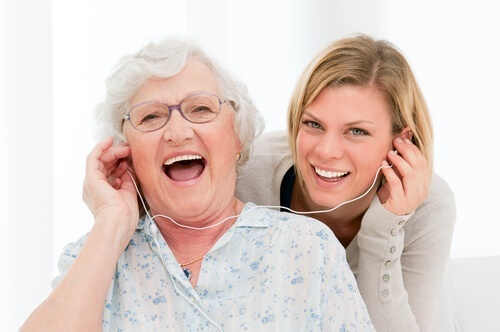 Homecare providers offer companion care services in order to protect seniors against loneliness. Unlike medical services, homecare is focused on supporting seniors so they can live healthy, quality lives as independently as possible. Companion services can be tailored to meet your senior family member’s needs. They can also be combined to meet other needs, like services for personal care or mobility assistance. The specific goal of companion care services is to ensure that seniors have friendship and someone to check in and care about them. Often, companion care services include socializing. They can be scheduled as often as a family would like. A companion caregiver is selected for his or her job because they truly love seniors and enjoy spending time with them. Companions work to keep seniors from loneliness through compassionate interactions. If your loved one has social activities they like to share in besides those listed, rest assured. Companion services can be very flexible. If the distance between your family and a senior loved one is too far for regular visitation, companion care can offer peace of mind. You will know your family member isn’t lonely or isolated. Cherished Companions Home Care Agency even pairs your family with a personal client care manager so you can work together and stay apprised of how Mom or Dad is doing. To learn more about home care, companionship, and your loved one’s options for aging in place healthily and happily, download our FREE Guide to Home Care.